Technology and Fashion are present in almost all of our lives, and effect us on a daily basis. Both industries are ever-evolving so it's important to keep track of new developments, and also understand how these sectors will interact with each other in the future. The Fashion Tech Forum was founded in 2014 by Karen Harvey Consulting with the aim of creating a space for fashion and technology leaders to explore how each industry is approaching the future of retail. Karen and her team have been at the centre of luxury, fashion, retail and related innovation communities since 2012, and noticed a global shift that would revolutionize both industries. Wondering how this shift was going to effect companies in these sectors, Karen Harvey together with Maia Wojcik, VP, Global Talent Scout, sought out to create a high-level event that would unite the most influential fashion and tech innovators to develop ways to collaborate, discover innovations, and share best practices. They believed that with both of their networks and experience, they could bring together multiple generations to share ideas and new ways of working. From there, the Fashion Tech Forum was born. 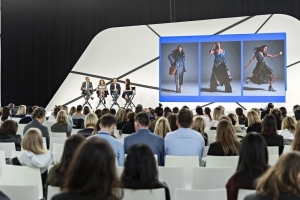 On the 12th April 2019, FTF will be held in New York, and deliver a full day of keynote speeches, fireside chats and interactive experiences with fashion and technology leaders. You can purchase tickets here, Hub members receive a 20% discount to the event using the code HUBCULTURE20.